This particular snaffle bit is a high-quality horse accessory. This Twisted Wire Sweet Iron Snaffle Bit we have to offer has 7'' shanks and the twisted wire increases impact of the bit. 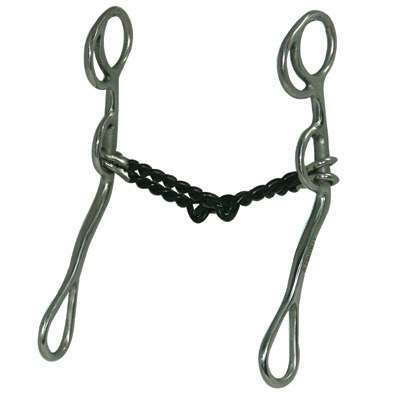 This Equine Snaffle Bit is also made of top quality materials that are very durable.